‘You’re a climber? Really? You look nothing like one!’ a young woman comments on my appearance as I greet some of my Manaslu expedition companions before heading out to Thamel to celebrate my birthday. She is about my age, she is my compatriot and she is very beautiful: a polished face framed by perfect dark hair; big feline eyes; long, leggings-clad legs. ‘I’m not climbing tonight,’ I reply staring at her feminine expression and body language with a mix of admiration and envy, ‘and I’m not a real climber, anyway.’ Having just seen myself in the mirror, I’m tempted to add that I’m not a real woman, either. ‘Oh, but they said you’d climbed on one of the world’s highest mountains…’ she persists. Manaslu is still here, sticking out of my chest like an old kukri knife, its tip not quite reaching the heart, not quite sharp enough to kill. I jerk it up and down and push and pull on it which only serves to make the wound larger while the knife remains unmoved. Undoubtedly, there are bigger things in life than even the greatest of mountains – and failures or successes on them – but it is ridiculously hard to go about one’s daily business with an 8000-metre peak weighing them down. The easy mini-triumph on Chulu Far East was a temporary distraction and not, as I wished to believe, a permanent cure for the injury of failure on Manaslu – it seems to be here to stay. However, that distraction was necessary, and I feel like I am once again in need of one. 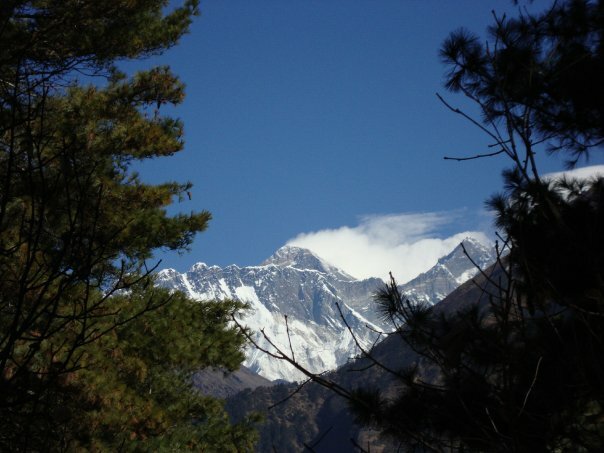 What I want now, though, is not merely a distraction but a real challenge; perhaps, a bigger one than Manaslu itself. 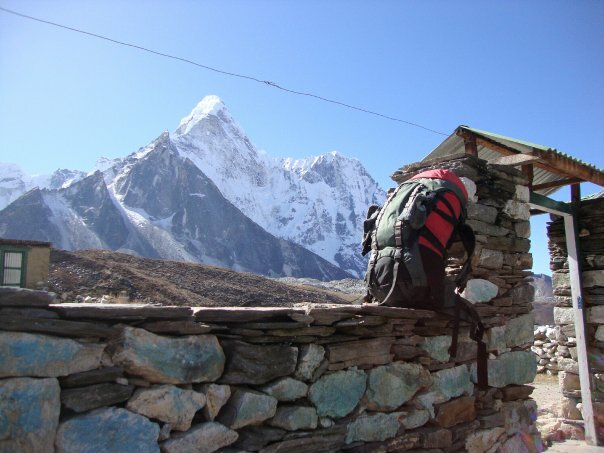 I have chosen a peak called Ama Dablam which stands at 6800 metres in the Khumbu region of Nepal. There are several reasons why I believe it will be harder for me to climb than its 8000-metre predecessor. First of all, even the ‘easiest’ route to the summit is very steep with several perfectly vertical sections of rock and ice: technical rock- and ice-climbing skills are required to tackle such a climb safely. It is a problem for me because I happen to be scared of heights – not a quality to recommend an aspiring high-altitude mountaineer, I know :). I used to be able to control my fear easily on the steepest of ascents but that was before the climbing accident of 9 months ago which left me seriously injured. I have not practised on steep rock since and, although the idea of it doesn’t worry me, I don’t know that my feelings won’t change when I’m looking at a vertical rock face and a potential long fall down to base camp. Apparently, safety ropes have been placed on the mountain all the way to the summit which would lessen the technical difficulty of the climb and make one feel a little more protected on the exposed sections. Nevertheless, contrary to many climbers’ arrogant allegations, fixed rope is not a shortcut to the summit but merely a safety aid; thus, I will still have to make every step towards the summit without any magical forces pulling me up. The second problem is likely to be the weather. 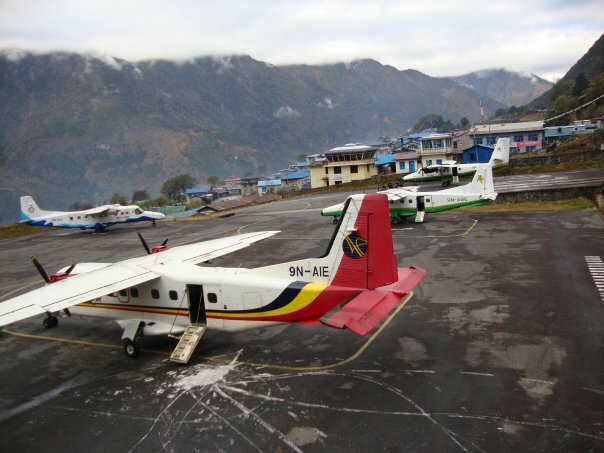 It has been raining and snowing heavily in the Khumbu which recently resulted in over a 1500 trekkers and climbers being stranded in Lukla (the town where most flights to the region arrive in and depart from) for a week due to poor visibility. The little planes seem to have been flying fairly regularly for the past two days but that can change as quickly as the weather, making it hard for me to even get to the starting point of the trek. If I am lucky and the weather is clear on my departure day, the forecast is not looking good for the days I plan to climb on; should the forecast prove correct, there will be no climbing. Thirdly, there are some time constraints. With just two weeks to trek to base camp (4 days), climb the mountain (?) and return to Lukla (2 days) I will have no extra time for my body to re-acclimatize to high altitude after spending over two weeks in Kathmandu. Also, should the weather be as bad as the forecast predicts, I couldn’t wait long for it to change for the better. Lastly, I am concerned about how I would feel if I failed on Ama Dablam like I did on Manaslu before it. Yet, it is a relatively minor concern. Why? Precisely thanks to the failure to summit Manaslu: I now know how it feels, how much it hurts and how hard it is to get over. I will not be caught off guard or be swept off my feet by failure this time; I am prepared for it. In fact, given the potential problems I have described above, I am 90% certain of failure (I would have said 99% if I wasn’t a hopeless optimist). ‘Why even try then?’ you might wonder after reading the above paragraphs. Because I really, really want to. What if I never want anything like that – a mountain – so badly again? What if, as I grow older and become what I’m expected to be, I lose the capacity to see beauty in the mixture of rock, ice, danger and pain? What if I turn into a walking grey rock which needs to cover herself with precious stones to hide how absolutely ordinary she is? 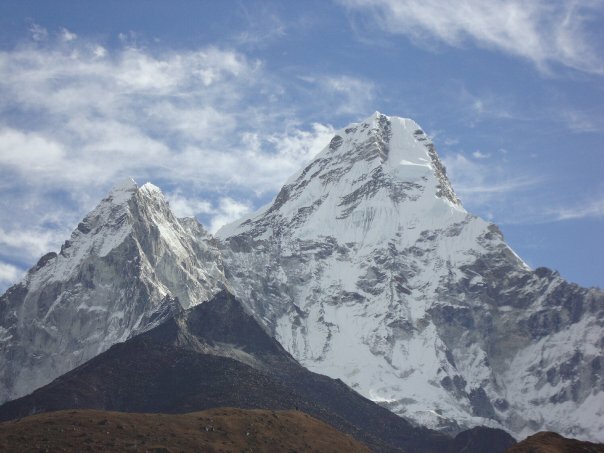 Very fittingly, I think, Ama Dablam translates as ‘Mother’s Necklace’. It is indeed a rare piece of jewellery for which you pay with effort and courage, one you could never wear around your neck but which would glow in your eyes forever once you’ve touched it; I would love to try it on. I will post brief blog updates during the trek and the climb as regularly as I can, starting tomorrow. Drop by if you’re curious ;)! You are an amazing person…good luck on the climb. Thank you so much! It’s the world around me that is truly amazing and I simply try as best I can to relate to it.